Break from squeaky clean for finish line grime instead! 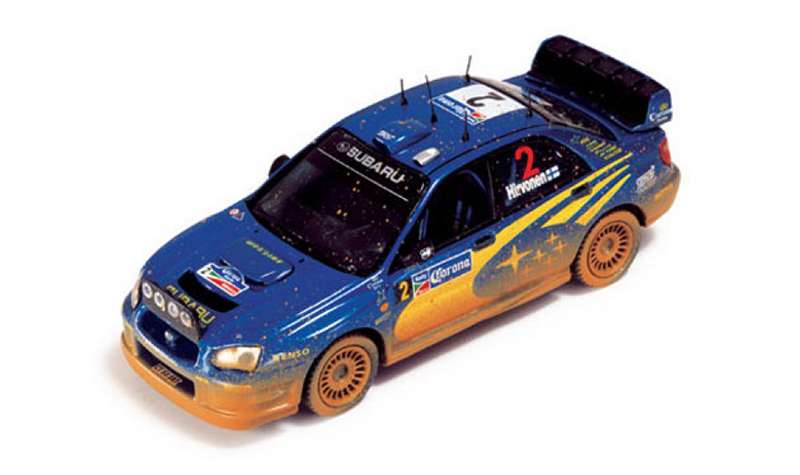 Dirty models, also called finish line cars, have been around for a while in 1/18th scale. Top modeler Dennis Koleber is acknowledged as the king of dirty models, having adapted weathering effects from the model train world. Koleber has developed this technique so well that major model companies have come calling to utilize his talents. He regularly offers one-off dirty models for sale through his ebay store. 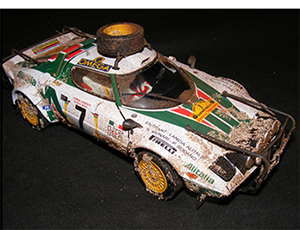 The Lancia Stratos at left is one of the dirtiest yet seen by Mr. Koleber! You can find many dirty models in 1/43 scale. While most are LeMans cars, there are plenty of rally cars too. Rally cars seem a natural of course. 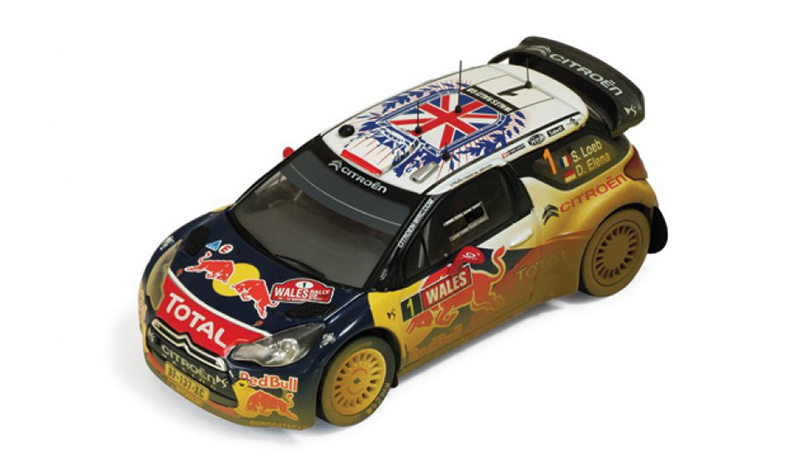 Put a dirty rally car on a suitable rally base and you have a wonderful diorama. 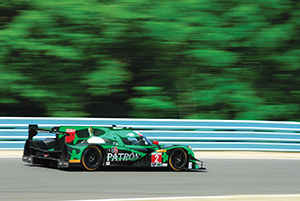 Refer to the photo at the top of the page and you’ll notice three distinctly different techniques for showing the effects of a 24 hour race. 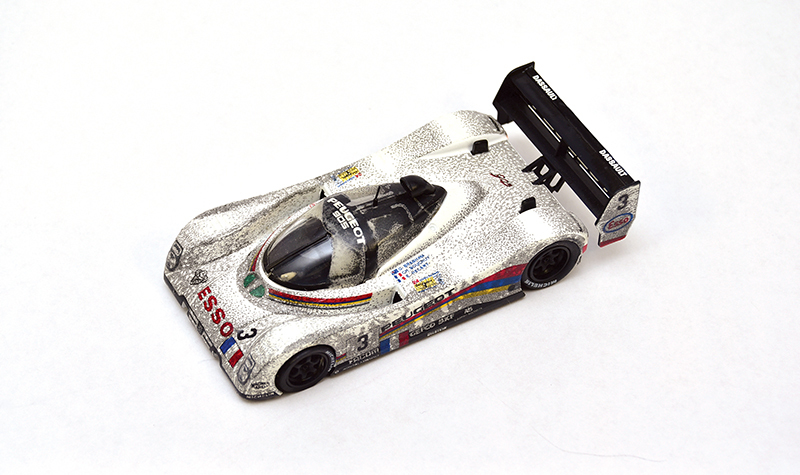 On the left with its coarse dirt simulation is the Quartzo Peugeot 905 that won LeMans in 1993. 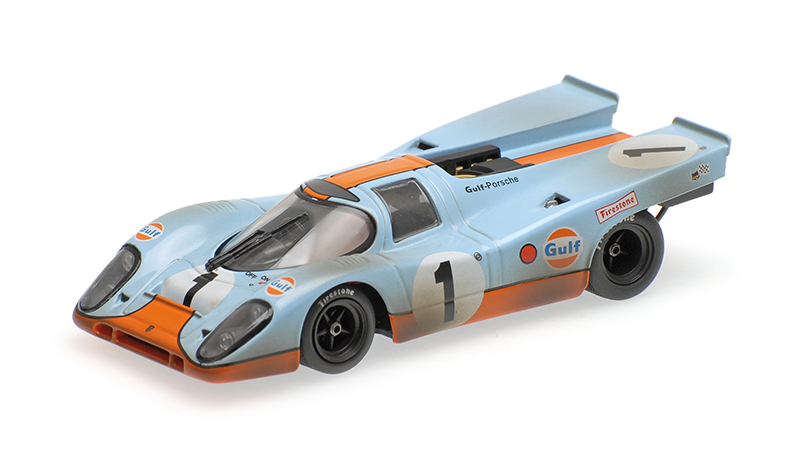 It’s one of the earliest examples of “finish line” dirty models I’ve come across. It correctly shows areas where wax or oil prevented the dirt from sticking whatsoever. While the “dirt” seems kind of coarse in texture up close, the weathering seems quite right when seen from a short distance. Particularly well done is the dirty windscreen, with a wiper-cleaned area standing out with some extra brown grime thrown in for fun. 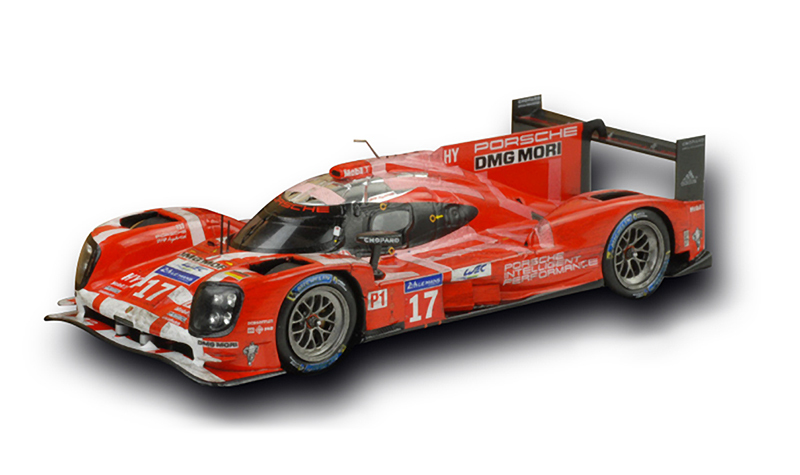 At the center of the top photo is a Spark Porsche 911 RSR from LeMans 2013. 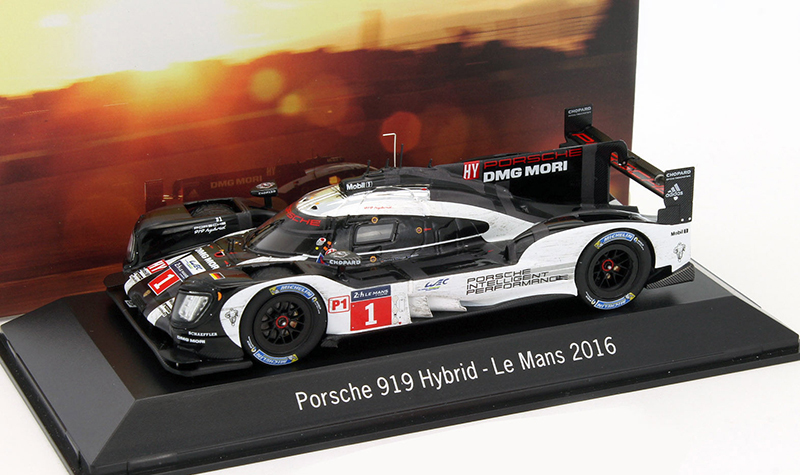 This is available exclusively as a Porsche Museum Edition piece. 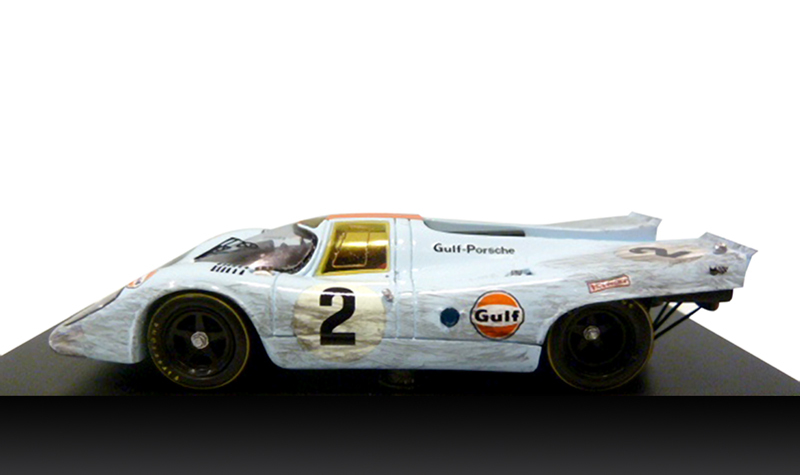 It portrays the effects of endurance racing as oil and grime streaks wildly arrayed all about. Spark remembered to coat the wheels, over and under the wing, every leading edge and every window. Too bad they neglected the wiper-cleaned area. Otherwise I would think they nailed it perfectly. 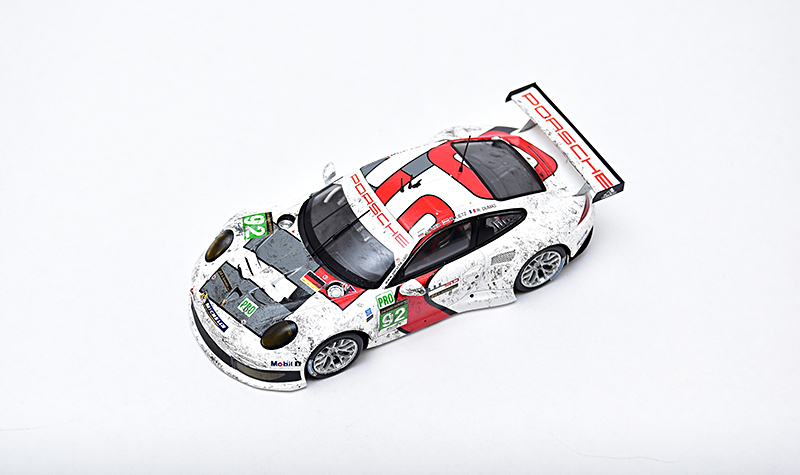 The exclusive Porsche Museum line offers several dirty model versions of their cars in 1/43, including the 919 hybrid LeMans cars. 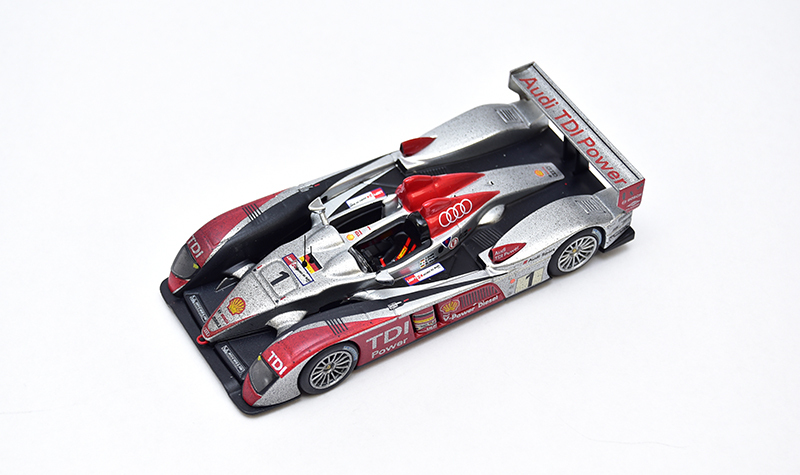 The IXO Audi R10 that won the 2007 LeMans race is shown at the right in the top photo. The weathering is very subtle, almost too subtle. Weathering is readily apparent if you place it next to a clean Audi model, but it seems like IXO did their job so well that few will notice. Still worth having anyway. 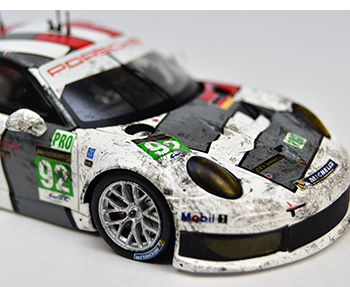 Weathered dirty models are offered sporadically by model manufacturers. Porsche Museum Edition cars can be found in Stuttgart, or you can find them offered by several German and U.S. ebay sellers. 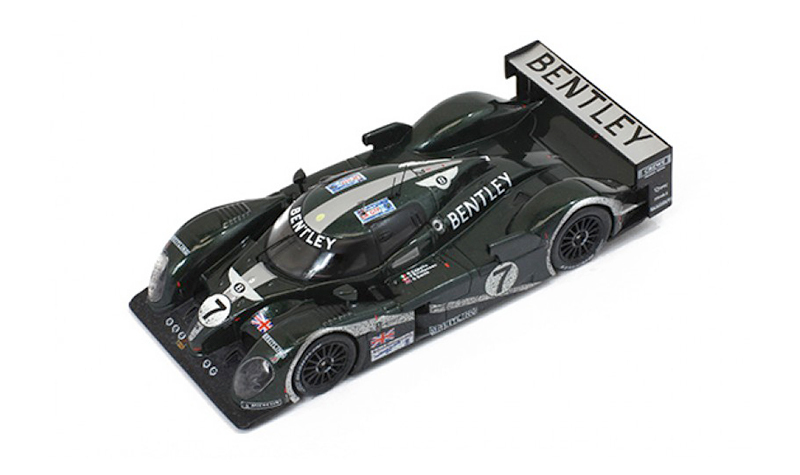 IXO has a nice selection of LeMans and rally dirty cars on their website, or from your favorite online model seller. The Quartzo Peugeot is fairly old, so an online search will be necessary. 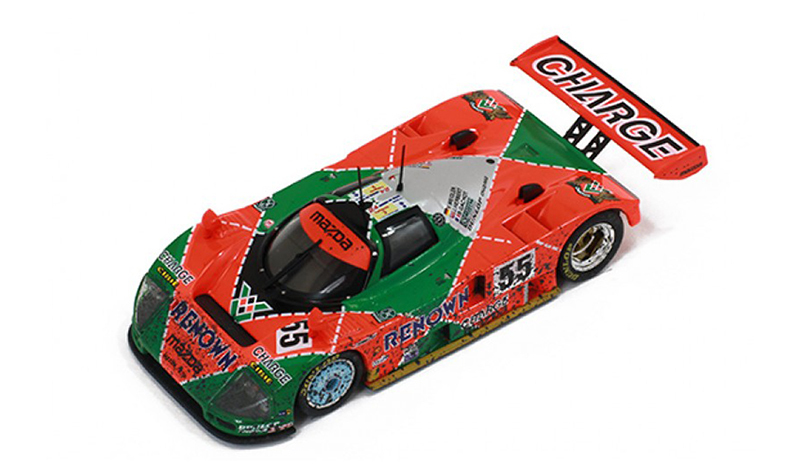 More great 1/43 model stories, including BMW art cars, here.